Vinnie Vincent Metal Tech: Style, Speed & Phrasing free download. 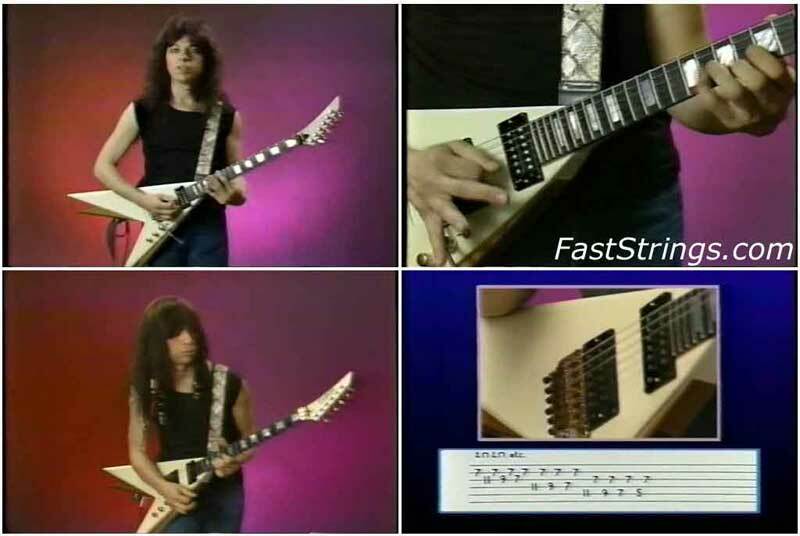 In Metal Tech, Vinnie shows you his unique approach to soloing. Topics included are: Major and Minor scale patterns, chromaticism, arpeggio shapes, sweep picking, hammer-ons and pull-offs, intervals and altered, diminished and whole-tone scales. Vinnie also teaches you his Pick-Finger combinations for playing super fast scales, arpeggios and licks along with right hand tecniques to create rhythmically accented picking. This video will enable you to expand your melodic range and develop state of the art Rock techniques. On screen tablature included.